DC's Rebirth is a-comin' down the pike in the next few months and the thing that most people are talking about (besides the fact that it's not really the rollback to the pre-New 52 DC Comics universe a lot of folks - maybe sometimes myself included - were hoping for) is that the Superman featured in all the press materials is the pre-reboot, married-to-Lois-and-now-with-a-kid Superman, the one we saw in Convergence and the Superman: Lois & Clark miniseries (info here, but probably some spoilers). New 52 Clark seems nowhere to be found (this past week's Superman #51 has a big clue as to maybe why, and there are definitely spoilers at this link). 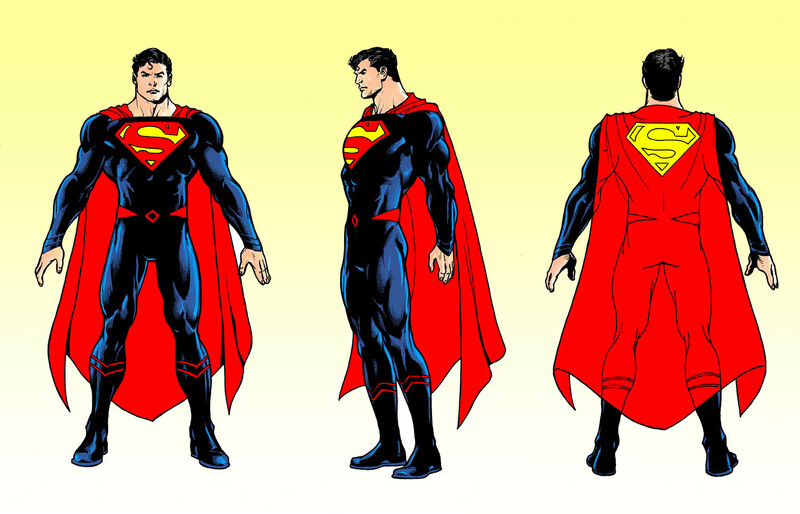 There will also be a Chinese man with Kryptonian-like powers getting a book called The Super-Man, and aforementioned Super Son will be getting his own spin-off book with the Damien Wayne Robin called The Super Sons (and his hoodie/costume looks all kinds of rad). 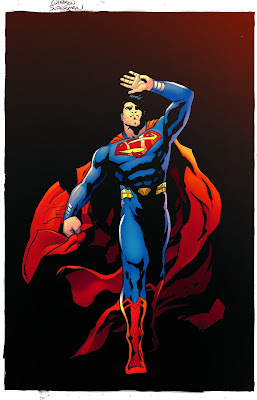 Now, I'm as curious as to the hows and whys and what nexts of all this as the next Comic Book Fan of a Certain Age, but what makes me happiest about this news is that it looks like we'll finally be rid of that New 52 Super-armor and in its place will be a Superman costume that more closely resembles the recent Henry Cavill movie uniform. But no matter. While I still prefer something closer to the traditional, red trunks costume (as do most product licensors if the shelves at stories almost everywhere are any indication), this is a damn sight better than that godawful, clunky, priest-collared thing the Man of Steel has been wearing since 2011 and I can live with it because I thought the movie costume worked well and have been wondering when the powers of cross-platform synergy were going to finally take hold. As for the comics themselves, I'll wait and see but I am cautiously optimistic. I haven't enjoyed a lot of the New 52-era Superman books I have read (though the brief Geoff Johns / John Romita, Jr. run was decent, and #51 that I mentioned above was pretty good), but I liked what I have read of the Lois & Clark miniseries and I am absolutely loving the Superman: American Alien series from Max Landis, so I have hope that a more traditional, less mopey Superman is the four color panacea I've been hoping to see. Time will tell, I suppose, but if nothing else it will be easier on the eyes.